In Tennessee, Tennessee Supreme Court Rule 31 governs mediation and establishes the qualifications to become a mediator. The qualifications, which are fairly similar in all states, are based on your education, work experience and training. 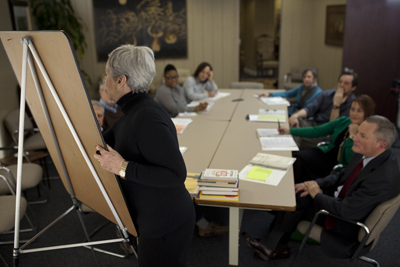 Since 1997, PDRS has been providing Supreme Court approved courses that train professionals in the art and craft of mediation and collaborative problem-solving. To learn more, check with your state’s governing agency for further details or click on one of the state resources below. RE: Tennessee: In Tennessee, there are three designations for mediators: General Civil Mediator, Family Mediator and Family Mediator Specially Trained in the Circumstance of Domestic Violence. Professionals may apply for one or more designations once they meet the Rule 31 requirements. Our next courses will be held June 10-14, 2019 in Chattanooga. Once you meet the requirements to apply for mediator listing in Tennessee, visit https://eservices.tncourts.gov/ to register as an ADR User and fill out the online application. As of May 31, 2017, only online applications will be reviewed. ALL materials (including letters of reference, letters of good standing, training certificate, additional documents, etc.) must be submitted using the online application. No paper applications or materials will be accepted. If you submit a paper application, we will contact you to let you know that we will not process the paper application and will direct you to the online application. Below are links to mediator criteria in neighboring states. Most states follow a very similar model and accept the PDRS curriculum with full faith and credit toward professional mediator training. If you do not see your state listed below, a simple search under your state Supreme Court website or Bar Association should lead you to those resources. 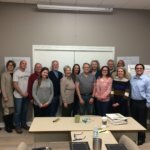 Our public courses are held at our mediation and training facility located in Chattanooga, TN. Custom courses and specialized training are available on-site. Contact us to request more information.